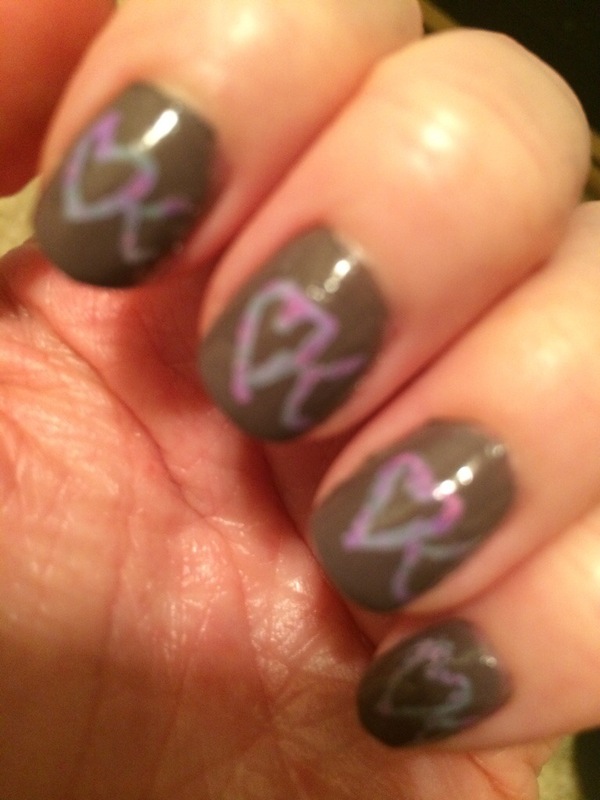 My lips are sealed with my signature K.
This week I have my go to signature design. It has my first initial with a heart attached. The K gives it a personal touch of identity. Sometimes I have to tell myself that I’m still me, still beautiful, still special. This design shows me. 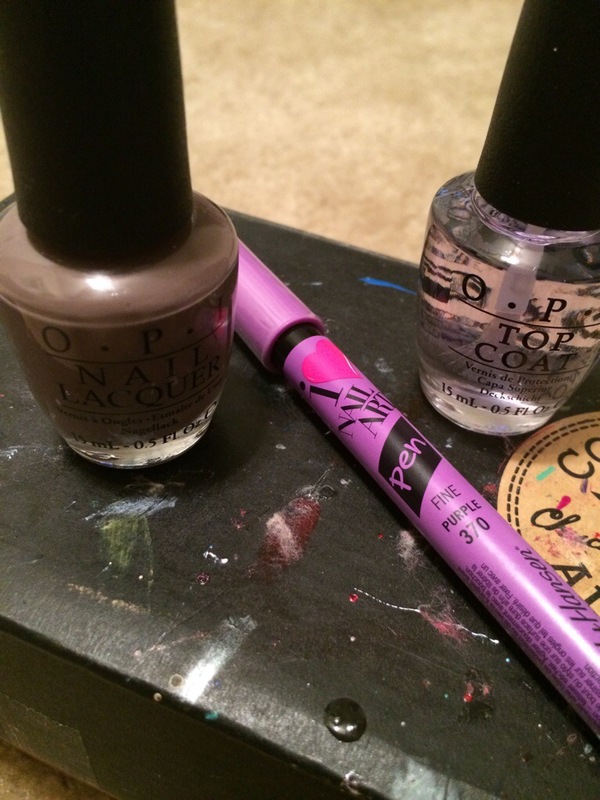 The base color, which I’m not sure is more brown or purple, is OPI I São Paulo Over There with Sally Hansen purple nail art pen used for the design.